Continuing the holiday/seasonal theme, tonight I tried a 2011 Celebration Fresh Hop Ale from Sierra Nevada Brewing Company. 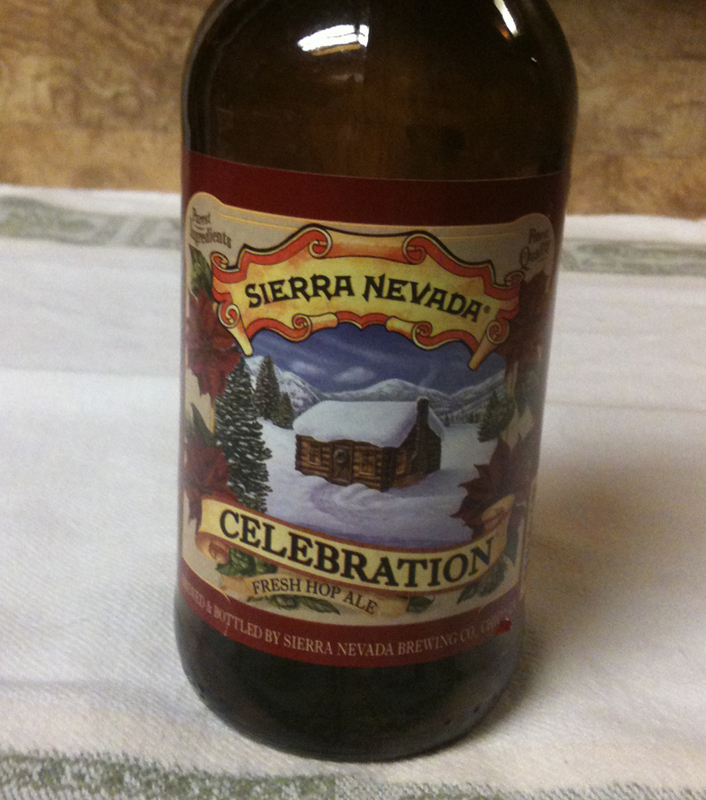 Sierra Nevada's web site lists it as a seasonal India Pale Ale (IPA) with an IBU of 65. 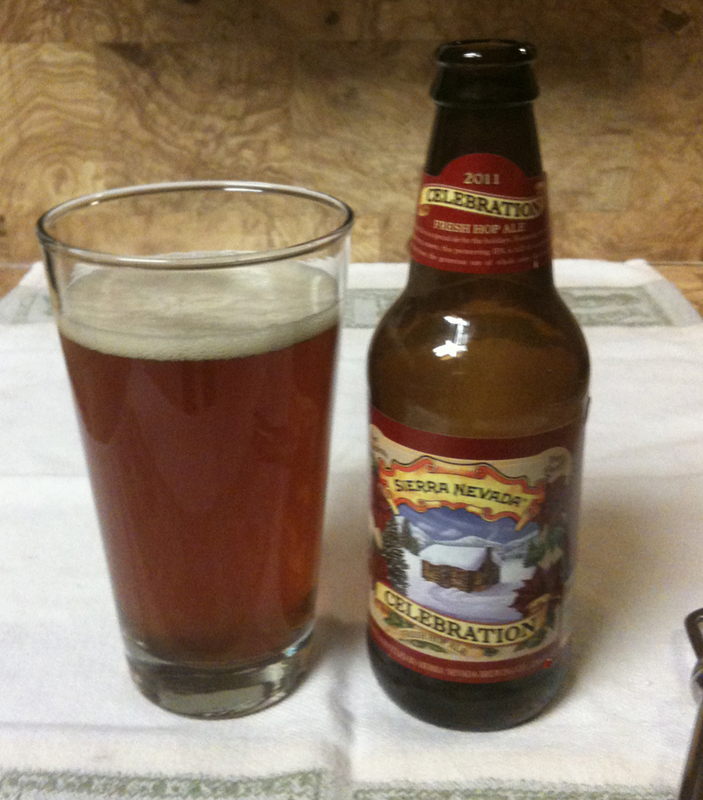 It is 6.8% ABV, shown on the twelve ounce bottle. This beer poured with a lightly foamy head. Color was a little reddish-brown, somewhat cloudy from air bubbles, and perhaps a little sediment. Aroma was a nice beer aroma, not too strong, with the scent of hops. The taste was mostly that 'fresh' taste of hops, very refreshing, not too bitter. There was a slight bitter aftertaste, but it faded pretty quickly. 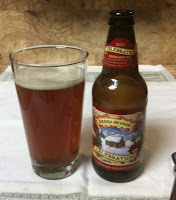 Hoppy, flavorful IPAs have become one of my favorite beers to drink and this one definitely fits that description.